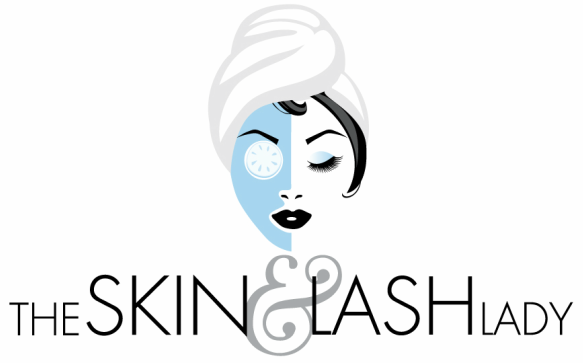 The Skin and Lash Lady is a seasoned Eyelash Extensions Professional. She has received formal training by Novalash, and Advanced Training from Butterfly Lash Solutions and also trained by Nadia Afanaseva the creator of Russian Volume Lashes. When done properly by a trained professional extensions will NOT cause any lash damage. We natural loose 1 to 5 lashes daily. Each extension is attached to one eyelash. When they eyelash sheds out so does the extensions. Everyone's "shed" rate is different, but in general most clients come in every 3 weeks to "fill in" and keep a full set of lashes on. Your lashes should last the life-cycle of your natural lash, however this varies by growth rate, skin type (oily skin vs. dry) makeup usage, aftercare etc... So please be aware that eyelash extensions require a monthly maintenance and I encourage you to purchase our after-care products to protect your investment. We care about your lashes- lash extensions can not be more then 30% longer then your natural lash or thicker then your natural lash. This will cause lash damage over time. We care about the health of you lashes. We do not do fills from other salons unless we know your lash artist, or has been trained my me. Training and technique and quality of lashes vary greatly. We can only guarantee our work and no longer we be doing fills unless we know your current lash person or are referred to us. Our high quality lash look that you all love. One mink lash extension adhered to each natural lash, adding length and curl. Our Novalash Glue is the only patented glue in the market today with the longest hold. Get the ultimate glam look with our Russian Volume, these will give you the fullest lashes possible. 3x fuller than our classic using the finest softest mink lashes. I was trained by Nadia Afanaseva, the original creator of Russian Volume and one of the first lash artists to bring her technique to South Florida. Like hair extensions, eyelash extensions are a cosmetic process whereby synthetic materials are applied to create a fuller, longer look. Aiming for an authentic, natural feel, they come in various lengths, colors and thicknesses, and can be worn during sleep, showering and swimming. Eyelash extensions differ from “fake” or “false” eyelashes in that they are applied one by one, and can last for two to four weeks. The procedure can take an average of 2 hours for a full set of extensions of roughly 30-80 lashes per eye. You will be lying down for the occasion & often clients take this time to have a rest as it can be quite a relaxing process. You are welcome to bring an ipod and wear comfortable clothes. For safety you will be asked to open your eyes so your lash technician can apply eye pads over your bottom lashes, the pads are 100% safe as they are made to sit close to your eye. Since eyelash extensions shed just like natural lashes, clients are advised to have them refilled every 3 weeks depending on your hair growth cycle. The average cycle of a single natural eyelash is 60 to 90 days. Everyone’s experience will differ based on day to day activities but touchups will be required every 2-3 weeks. How often should I get touch ups? We recommend you get a touch up/refill every 2-3 weeks. If you wait over 4 weeks some of your lashes will be missing and we will suggest you get a full set. Factors such heavy makeup, non-approved mascaras (those not made for eyelash extensions) excessive touching and rubbing of the lashes, skin cleansers containing acids, will shorten the lifespan of your lashes. Mascara does not have to be worn with eyelash extensions because they give the illusion that you are wearing. If you decide to wear mascara ONLY USE Water based mascara. DO NOT USE any oil or water proof mascara. Mascara that is oil based or containing glycol can dissolve the bonding agent and shorten the life span of your extensions and cause them to fall out sooner. Yes! Yes! Yes! Yes! We recommend that the first 12-48 hrs you reserve extreme caution with your eyelash extensions and do not apply water on or near the lashes. Your appointment time is valuable and I want to provide the best service possible at the time that is most convenient for you. If you need to reschedule or cancel please call/email 24 hour notice. If I do not receive a call before the end of the previous business day you will be charged a $25 cancellation fee. If you "no show" for your appointment I will charge 100% of the eyelash service that was booked. When calling in to schedule your first appointment you will be asked for a credit card to hold your appointment. I cannot hold your appointment without a credit card. Thank you for your understanding and I look forward to serving you soon.